In East Pakistan a revolt in 1952 about the use of the Bangla language was the first step towards independence of Bangladesh. Februari 21 was proclaimed International Mother Language Day by UNESCO in 1999. For every person his or her mother language is special; it is the language they learn most easily in. It is the last language they will know when they become senile. Research has shown that learning to read and write in the mother tongue has a positive influence for the whole of a person's academic career. 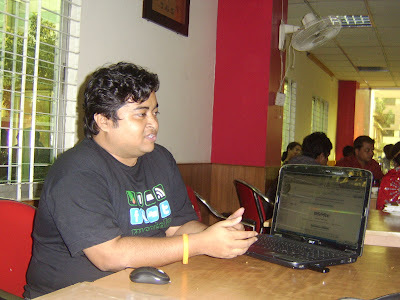 It is fitting that the localisation of the Mobile MediaWiki was done today for the Bangla language by Bellayet. This might be an appropriate time to share with you that the first ever text book in Welsh designed to teach the international language Esperanto has just been published. The Mini-Cwrs is a 36 page guide to Esperanto, consisting of ten lessons, some reading exercises and a vocabulary. The man behind the new booklet is Harry Barron of Machynlleth. Esperanto is a language introduced in 1887 by Dr. L.L. Zamenhof after years of development. He proposed Esperanto as a second language that would allow people who speak different native languages to communicate, yet at the same time retain their own languages and cultural identities. Esperanto doesn't replace anyone's language but simply serves as a common language. The first tiny guide to the language was published in 1910, and a two-way dictionary in Esperanto and Welsh was published in 1985. I agree with Bill Chapman. Concerning International Mother Language Day, you may be interested in the contribution, made by the World Esperanto Association, to UNESCO's campaign for the protection of endangered languages.